If you are looking for Paintballing near Dartford then we have you covered. 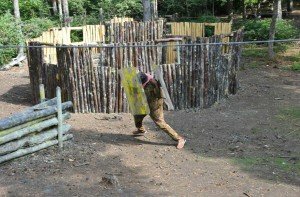 For Dartford paintball we have a site just a few miles away Sidcup offering games for all ages from 12 years. At RW Paintball we welcome you for any occasion. Paintball Stag do’s, Hen Parties, team building and birthdays are all welcome. In fact, our Sidcup site is great for any occasion. Games run most weekends with midweeks available for larger group sizes on request. 7 great playing zones are available to enhance your paintball game. These include VIP, Stealth paintball, Speedball, Attack & Defend, Double flag and The Flag Carry. You’ll almost certainly get to play in each one across a day’s paintballing. 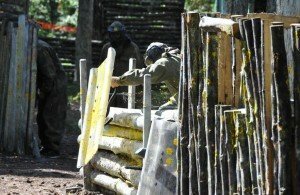 Game rules and objectives change making your day of paintballing full of fun. We’ll get your blood pumping! Paintball games kick off at 9am and finish around 3.30pm. We can sometimes offer half days subject to availability. With prices from £10 we have a package to suit everyone. Our all inclusive paintball packages usually work out the best value way to play. Paintball prices can be seen by clicking here. Remember our paintball prices almost certainly workout cheaper than the big booking agents. For more details or to book get in touch or call us on the numbers at the top of this page.